Finally a pole home that really is big enough for the whole family with 6 bedrooms, 2 bathrooms, 2 living areas, swimming pool and decks! 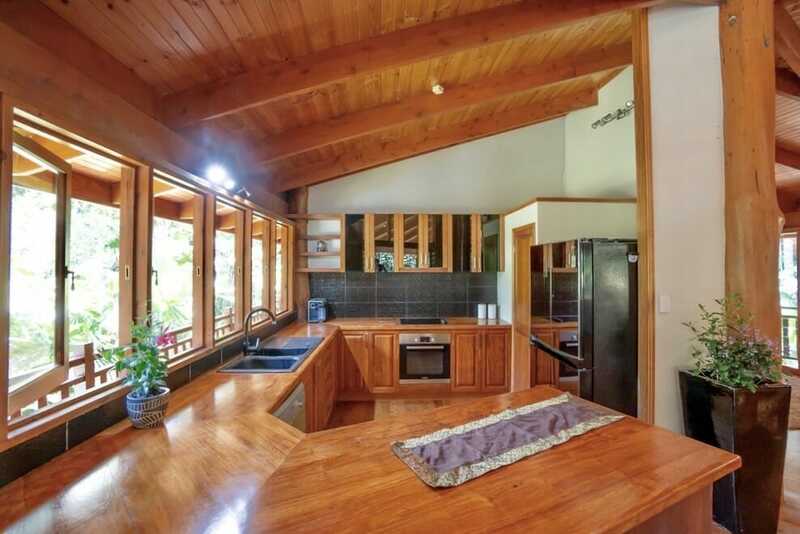 A Chris Van Dyke Mega Classic, this home spans 2 levels each with balconies front and back. 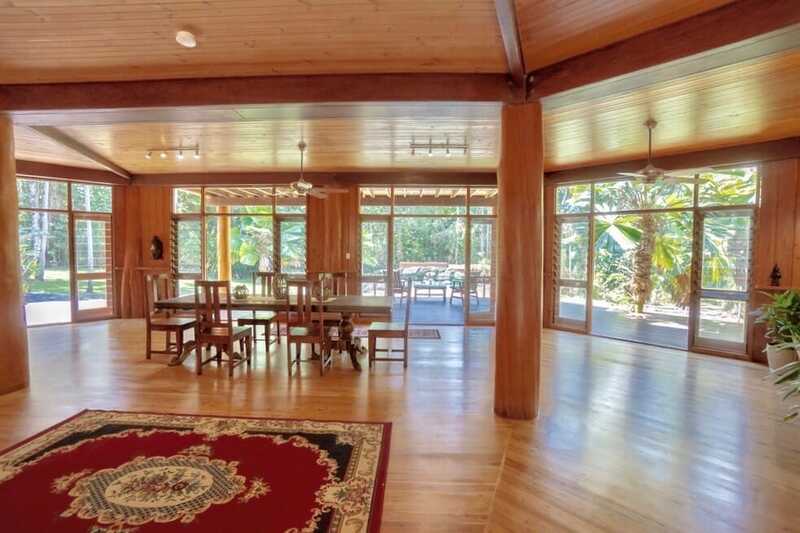 Lots of natural light, open and airy with louvred windows and french doors leading out to balconies. 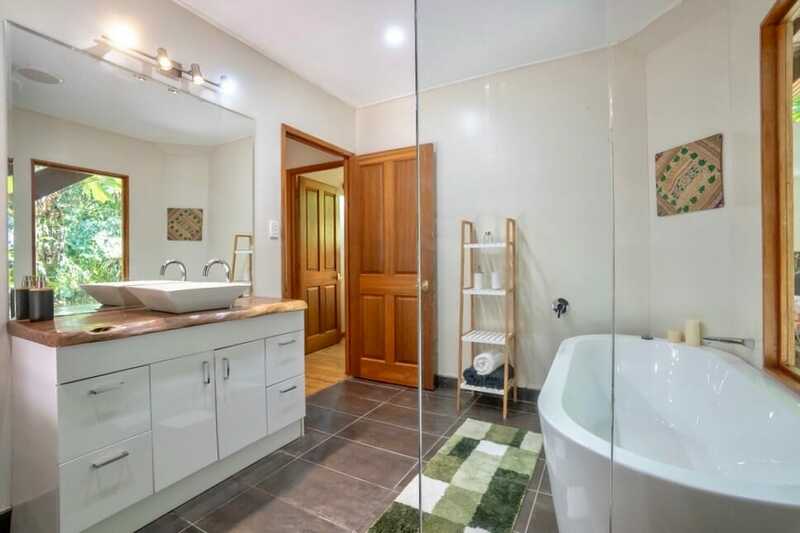 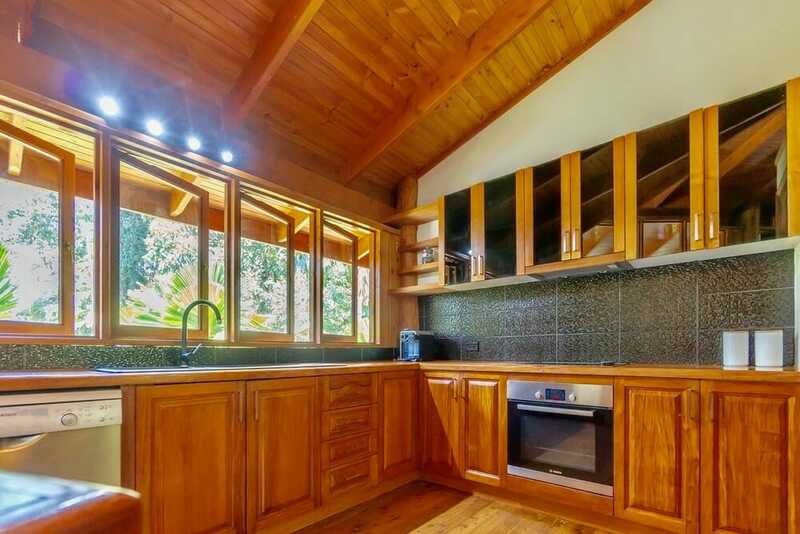 Has main living and open plan kitchen area with gorgeous wooden bench tops, huge pantry and space big enough for double fridge. 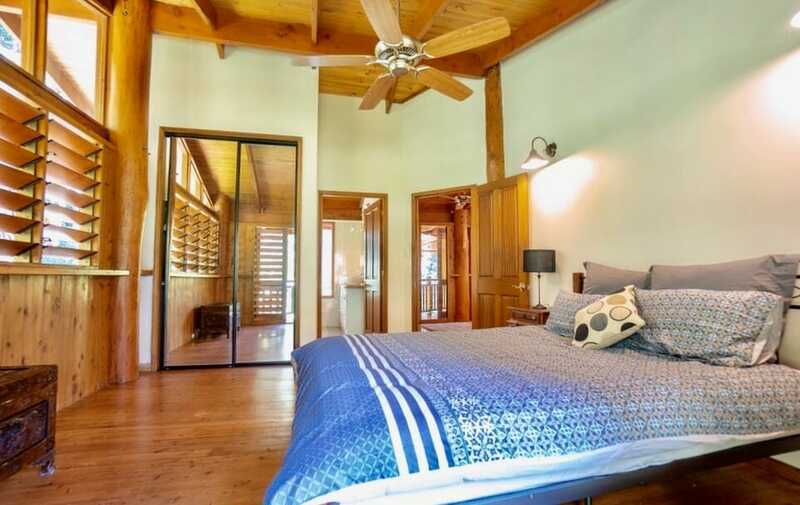 3 bedrooms each have robes and fans. 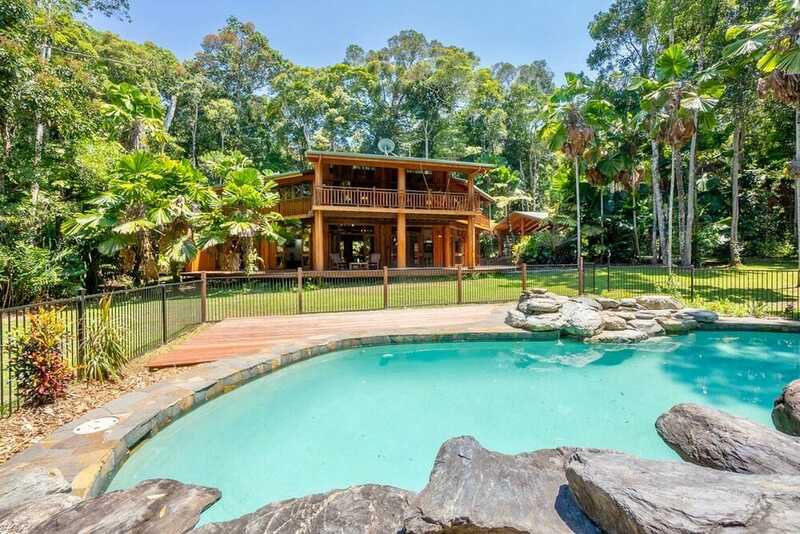 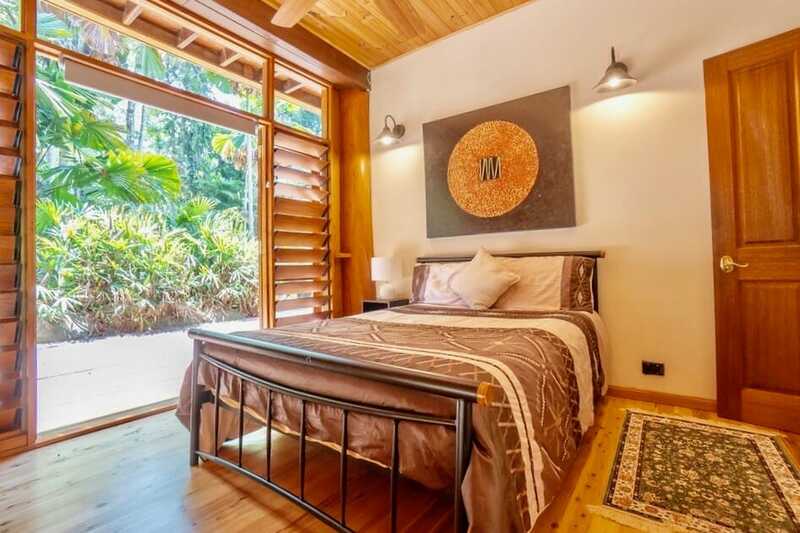 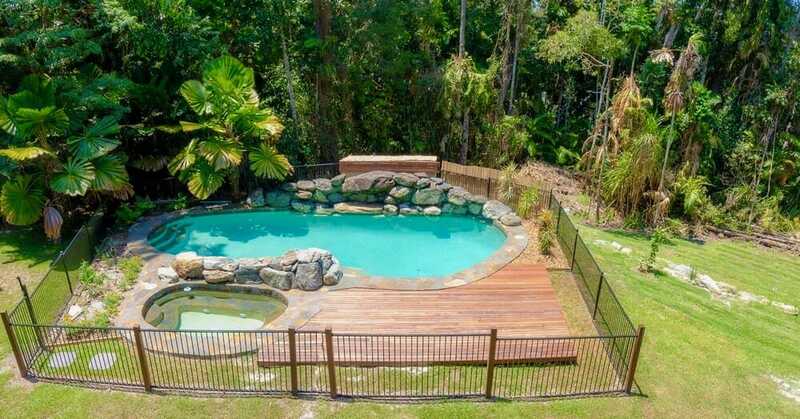 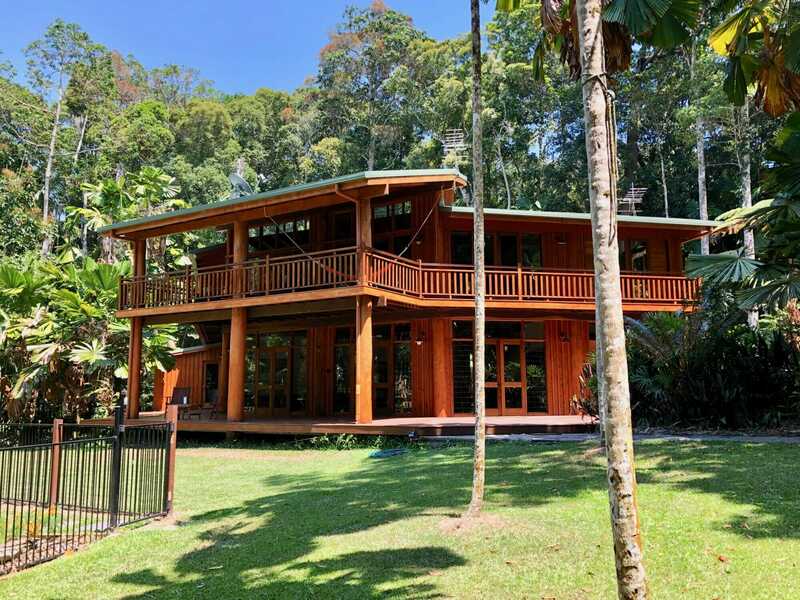 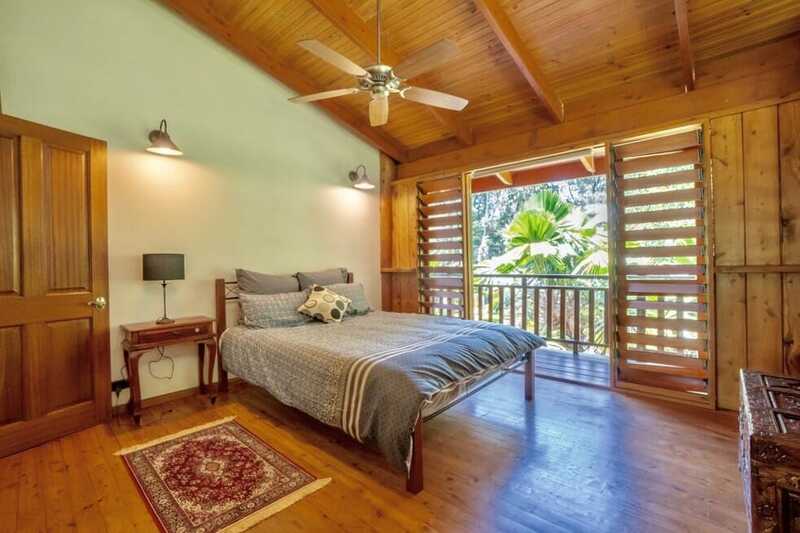 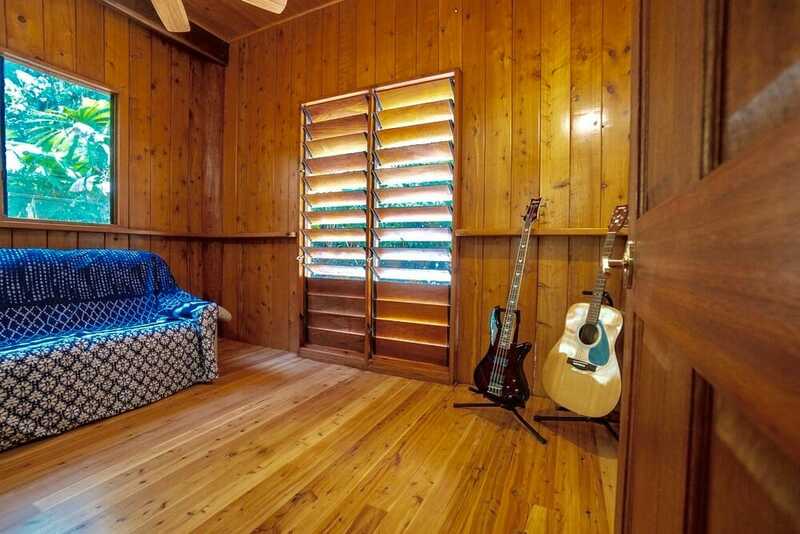 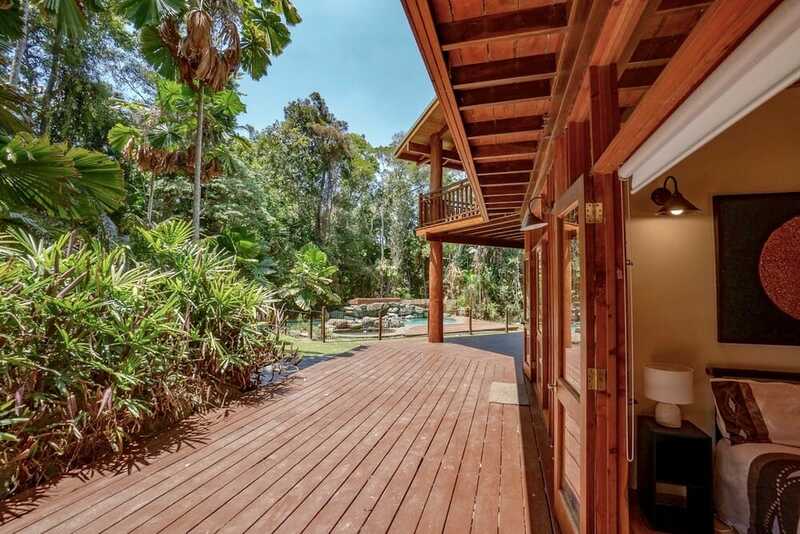 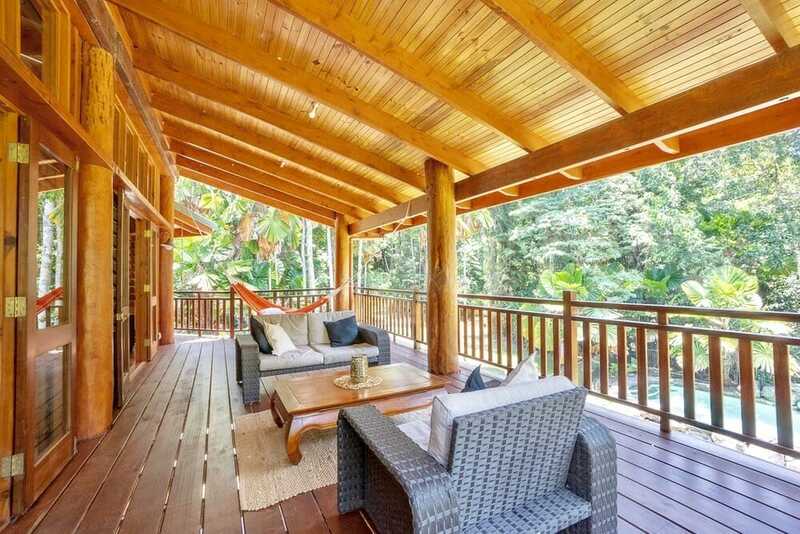 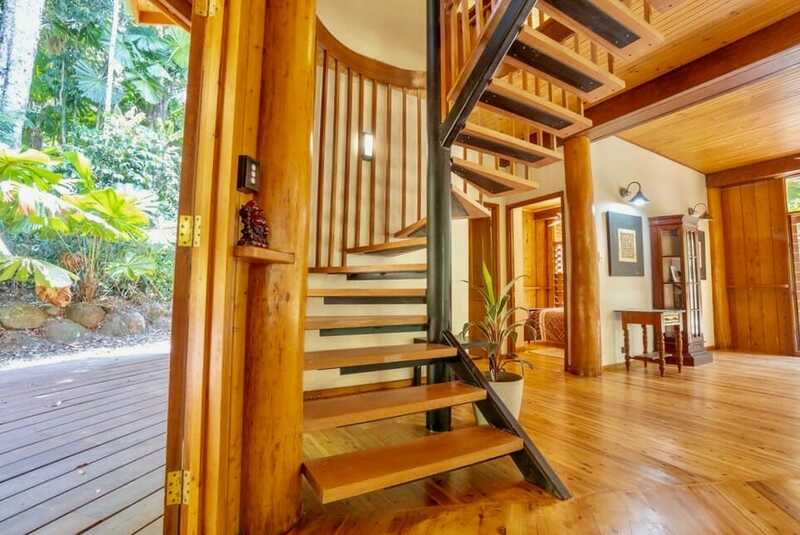 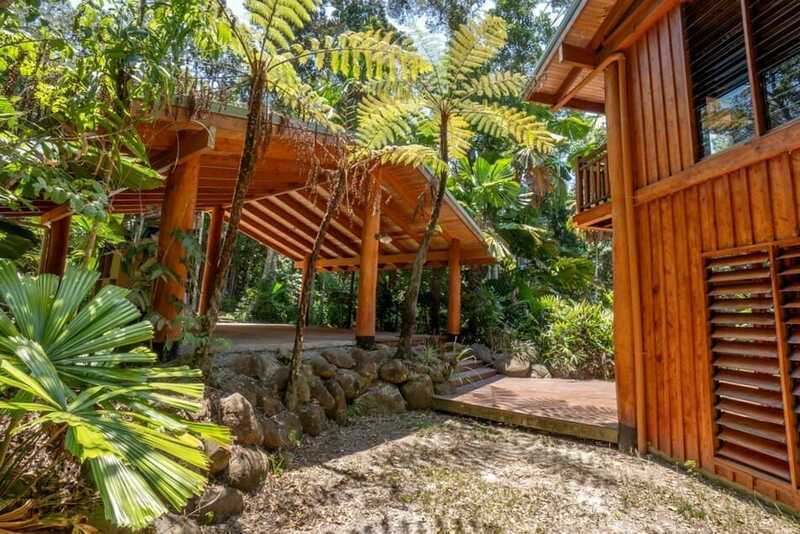 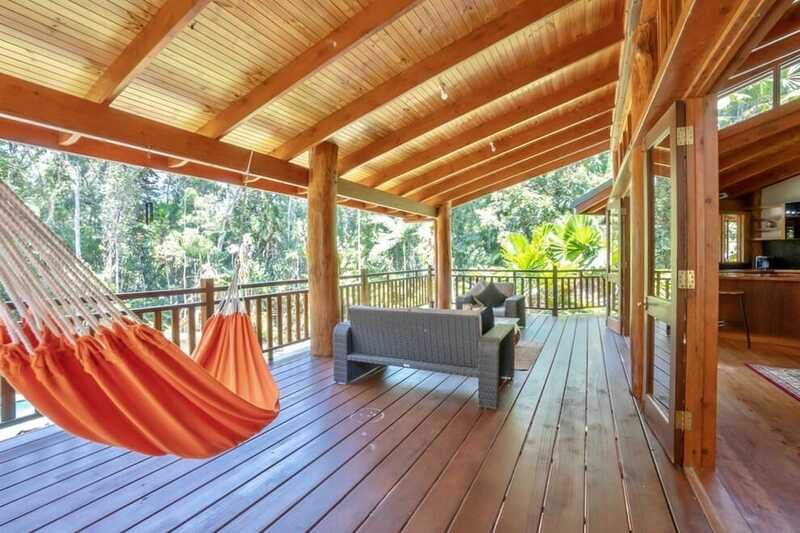 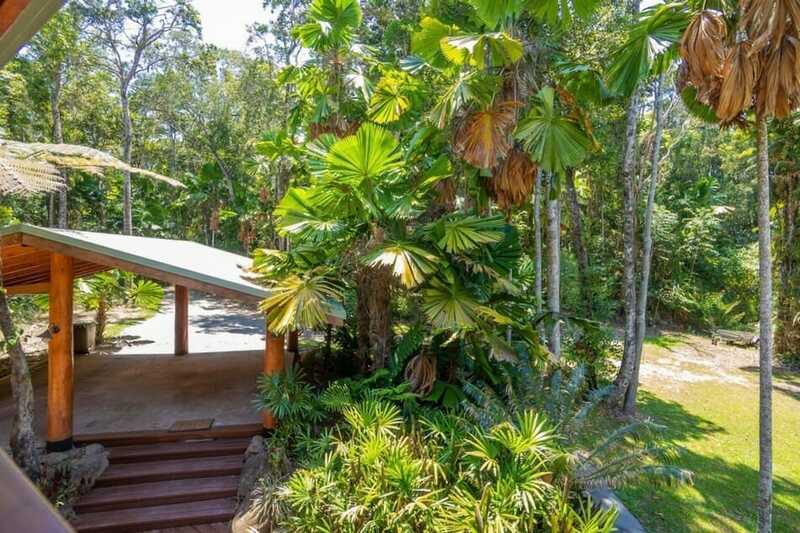 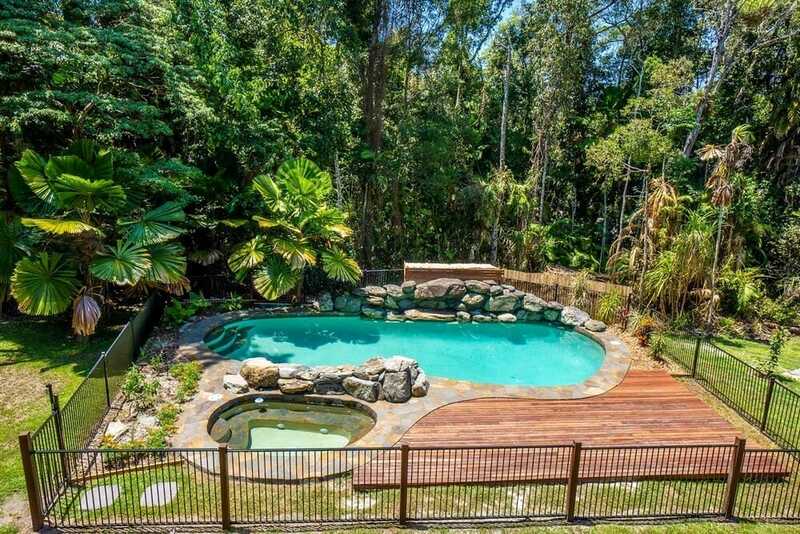 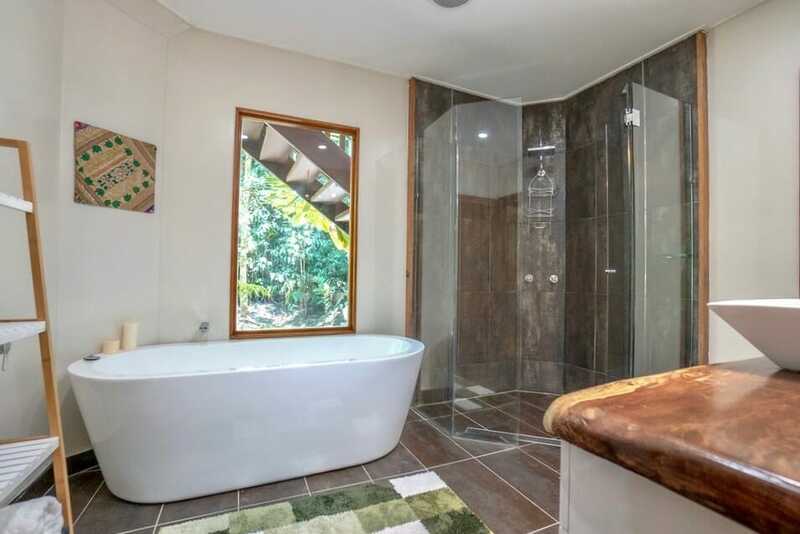 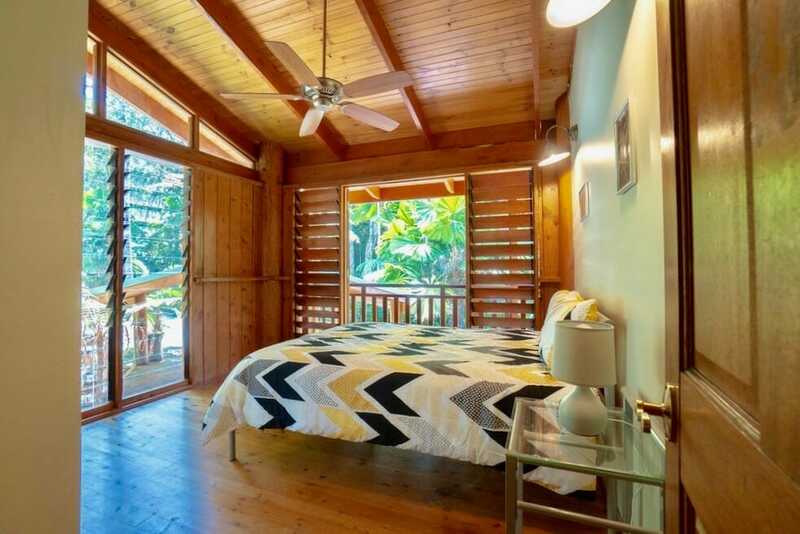 The Master is large with balcony views to the garden and huge ensuite with views out to the rainforest. 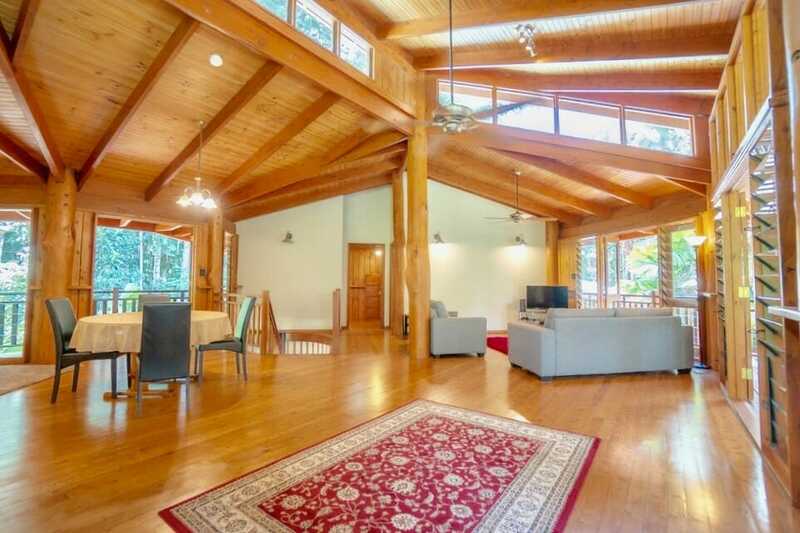 Impressive and extremely spacious lounge/dining/rumpus area plus 3 additional bedrooms and main bathroom. 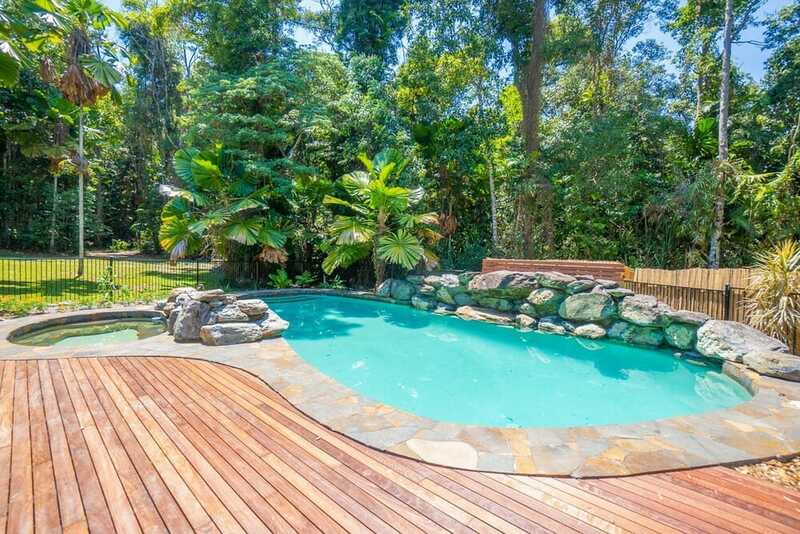 The pool is resort like with a built in spa and decked area all in a 100% private natural rainforest setting. 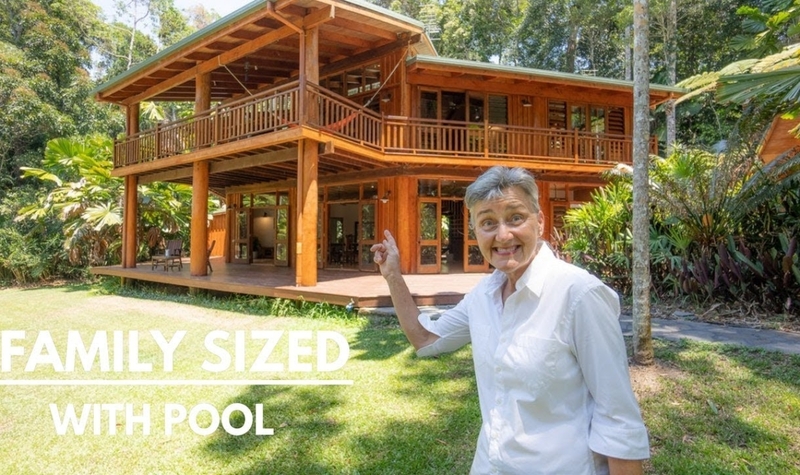 The carport is bigger than average – approx 8 x 8 m and super handy to the house. 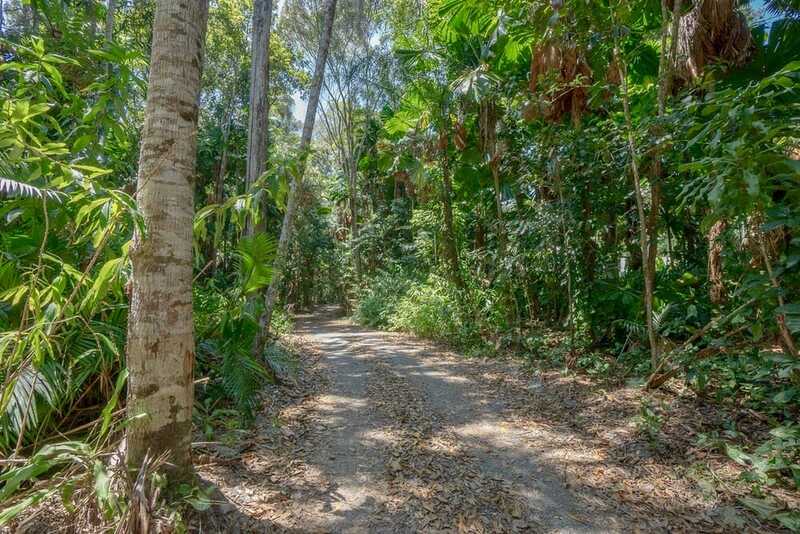 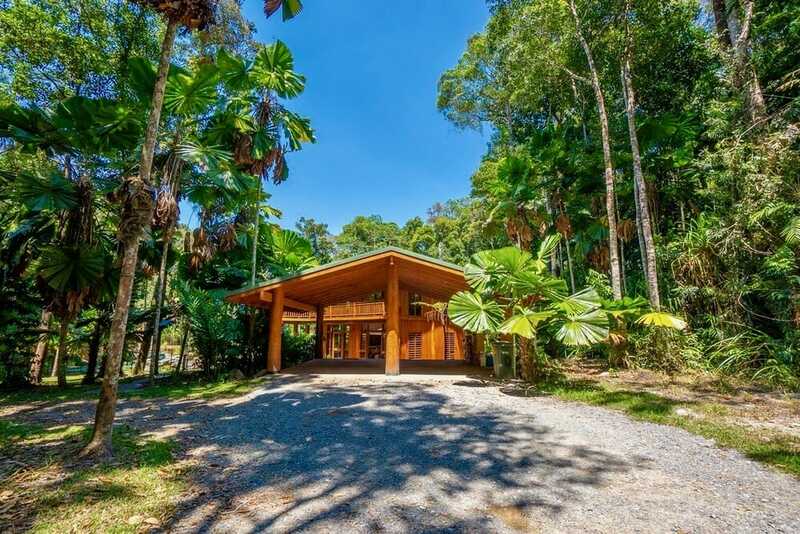 A large circular driveway makes easy access in and out with trailers, boats and cars plus easy commute into Cairns. 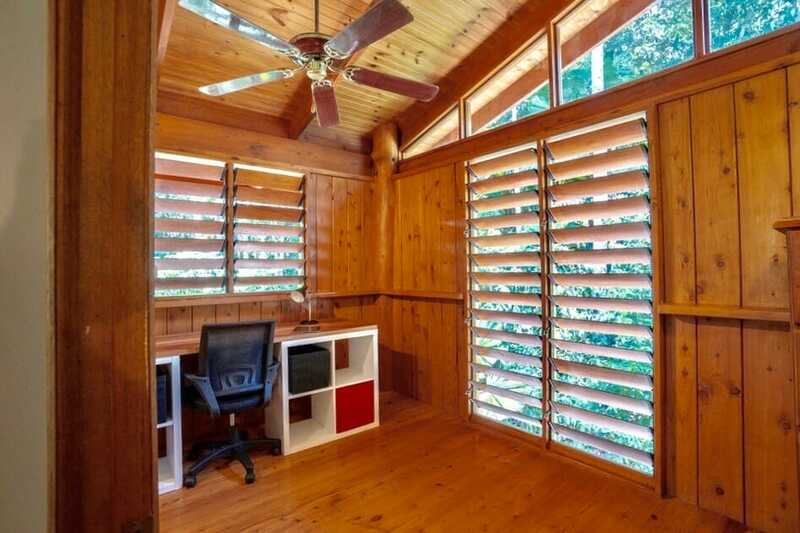 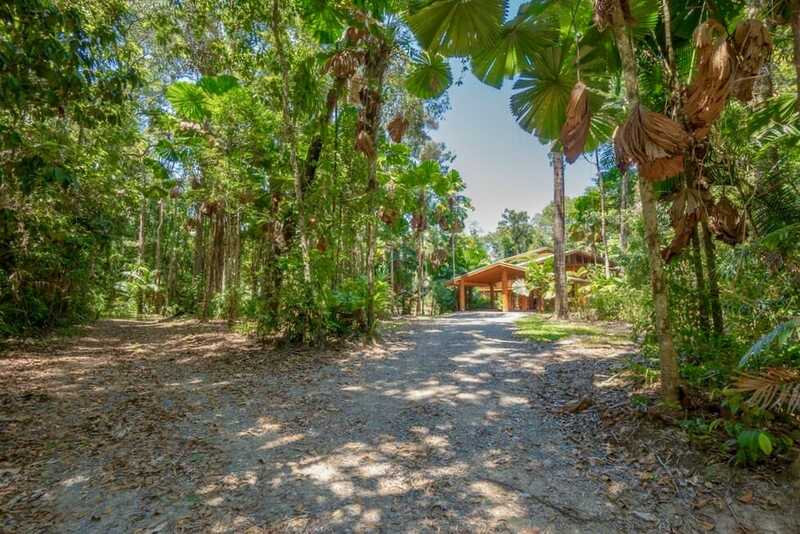 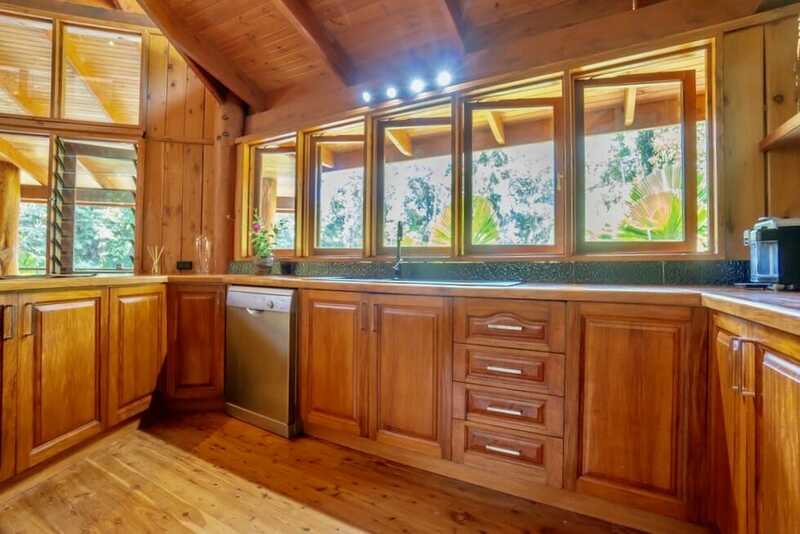 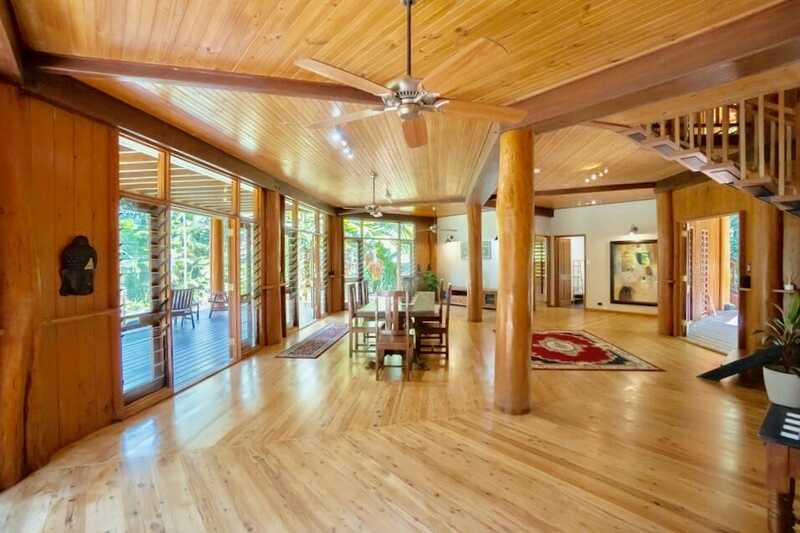 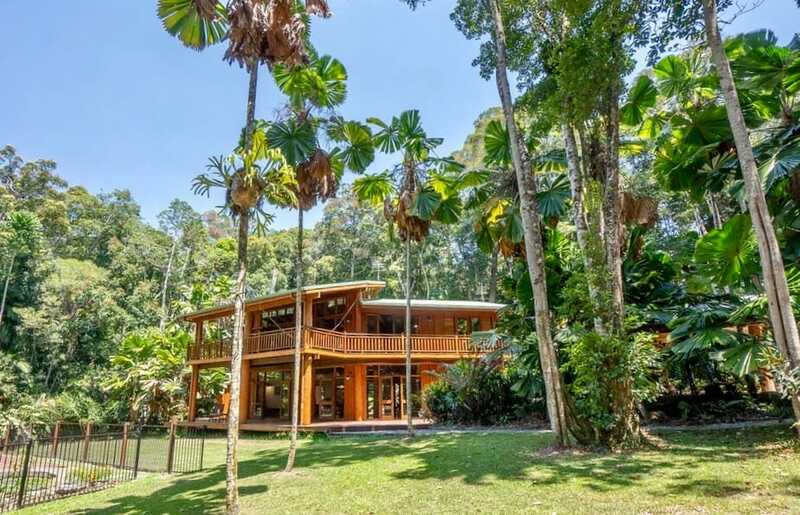 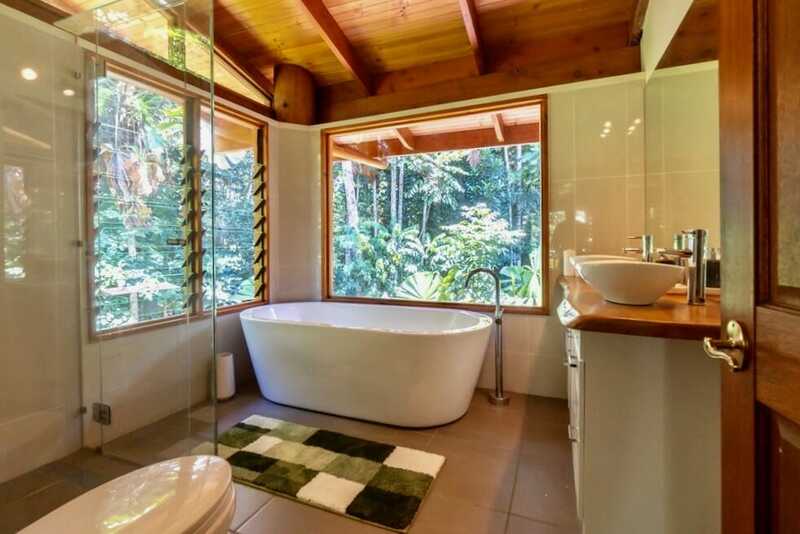 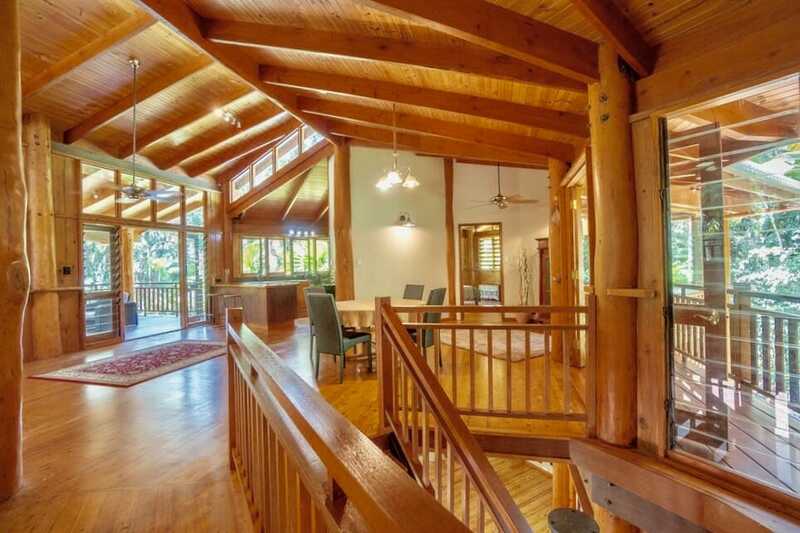 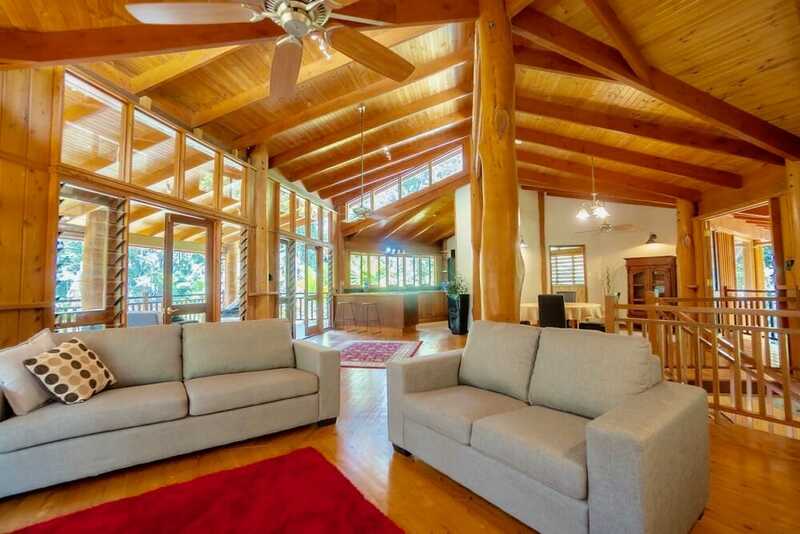 All this is set on 1.3 acres of totally private rainforest. 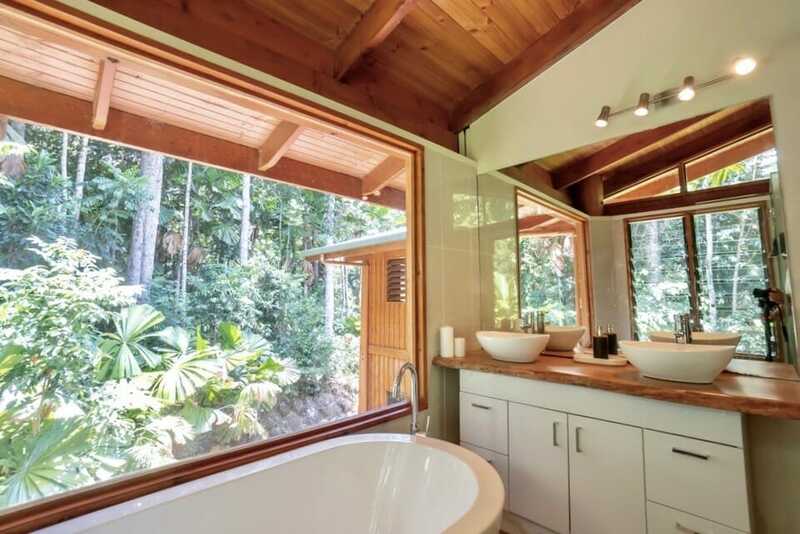 Call today for private inspection – don’t delay on this one!